Matthew James WOODBURY, who came to be known as "the Innkeeper", was born about 1839 at Mangrove Creek, a tributary of the Hawkesbury River. As a young man he set out for the goldfields (as did so many others of that time) in an unsuccessful endeavour to make a quick fortune. In the 1860s he came to the Wyong district and married Eliza O'NEIL. They set up their home at the junction of the Yarramalong Road and Maitland Road, which linked the Brisbane Water area with the settlements of the Hunter. Eliza’s parents owned the property in the vicinity called "The Cedars". She had a brother John, who became a locally distinguished partner in the firm of O'Neill and Goldsmith, timber merchants and saw millers. Matthew and Elisa, seeing there was a demand for such a facility, obtained a liquor licence and provided Inn service for the passing travellers. Most of the travellers were local people, settlers from the Yarramalong and Dooralong Valleys who had to visit Gosford every so often with their saddle horses and their pack horses to obtain their supplies. Matthew had little to do with the actual running of the Inn. That, he left to his wife. He took to accepting government contracts for road works and constructing culverts and the like. The building of the bridge over the creek at the village of Yarramalong in 1888 - it is now over 100 years old and is the oldest road bridge in Wyong Shire. The only time it was under flood was during the big floods of 1927. In 1899 he built the stone jetty which extends for about 400 metres into the lake off the eastern end of Lake Road, Tuggerah, and used by the ferry service. It is still there, but no longer used. The first post office in the Wyong district was established at the Inn and was known officially as Wyong Creek; intermittent Roman Catholic Church services were held there, and the first known Catholic service in the district was held at the Inn. 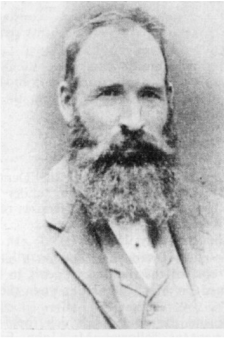 Matthew WOODBURYwas active in local affairs, and concerned in the establishment of the first school in the Wyong district which was at Kangy Angy near the present Mardi Dam. ​Matthew and Eliza WOODBURY had a total of eight children - six daughters and two sons, but lost their little daughter Elizabeth who died in infancy at the age of two. 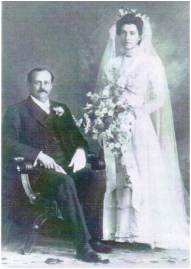 Matthew's daughter Ethel Lillian (Lilly) married William Baldwin, who was the first teacher at the newly built school at Jilliby in 1889. From 1909 until his death he was chairman of directors of the Wyong Co-operative Dairy Society which operated the butter factory. After the death of his wife Eliza, he went to live with his daughter Maude (later Mrs Thomas Lloyd) whose home was off the Dooralong Road, near the historic Alison homestead. He died on March 20, 1921 a much loved and respected man of 82, known in his old age as the "grand old man of Wyong", and is buried at Jilliby Cemetery.